Career Portfolio: How Can It help Upgrade Your Resume? A resume is a combination of an applicant’s achievements and other remarkable things that made him/her stand out. One way to submit the curriculum vitae during the interview is for the applicant to compound the employment abstract with a portfolio or a checklist of other information about the applicant. Career portfolios strengthen the application by presenting the applicant in the most positive and competitive light. Portfolios contain information that is outside a traditional resume’s parameters in presenting content. Moreover, the career portfolio serves as the extension of the resume that lacks the flair and substance in spotlighting comprehensive and detailed transferable skills and core strengths. Traditional portfolios – A traditional portfolio contains basic information and transferable skills about the applicant. Traditional portfolios may contain an applicant’s work compendium, video tapes, and other offline media used for promoting professional growth. Online or electronic portfolios – Social media web sites such as LinkedIn and BrightFuse are currently replacing bulky portfolios that have the same impact at delivering impact for the applicant. 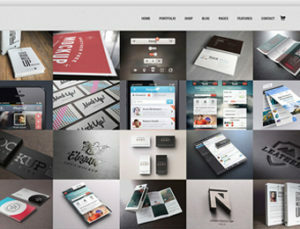 Online portfolios are also flexible. Digital artists can use image sharing sites such as Flickr or Deviant Art to present their artistic masterpieces to hiring managers. Were you able to create significant change in your community by doing social service or doing charity work? Are you actively involved in your community’s activities? Do you volunteer to be part of the community’s events such as fire prevention seminars or anti-teenage pregnancy colloquies? Hiring managers are always interested with applicants who are capable of machinating change or impact through community-driven activities. Therefore, including your contributions in the community or any formal institutions such as schools and parish churches is a huge lift when applying for a job. Most applicants rudely interrupt hiring managers or interviewers by immediately submitting their career portfolio without them asking. Applicants should be aware that the portfolio will only become important when the hiring manager personally asks them to submit their binders or envelopes. Shift the interview’s momentum by promoting more about yourself and the portfolio is the perfect exhibit in highlighting your skills and other notable contributions you have made yourself.